Although today bagpipes are most often associated with Scotland (and to a lesser extent with the Uilleann pipes of Ireland) they have a long and tangled history going back thousands of years. 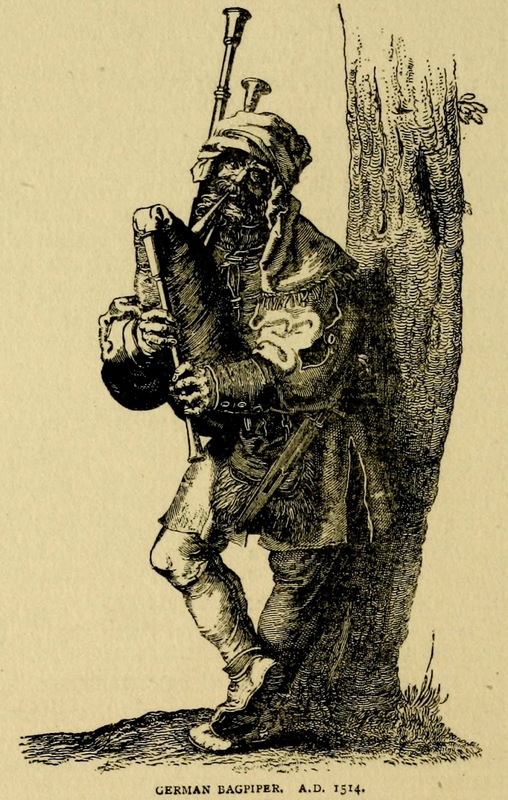 This illustrated volume, The Story of the Bagpipe, is from 1911 and is available in the Internet Archive. Below a German bagpiper from 1514.